A lot of people know the colon or large intestine as the part of the body that holds stool before having a bowel movement. But this organ is much more important and central to health and well-being. While stool storage is an important task the colon performs, the colon also absorbs most of the water from the digested material leaving the small intestine. Without this reabsorbing ability, we’d lose huge amounts of water in our stool and quickly become dangerously dehydrated. The colon also holds a huge and diverse population of bacteria that further digest the parts of food our body couldn’t break down. In exchange for these nutrients, these bacteria generate a wide variety of vitamins that our body otherwise can’t produce. These healthy bacteria also help to protect us from infection and keep our bodies healthy. HOW IS COLON CANCER FORMED? Cancers begin when a single cell mutates enough to start growing out of control. As the cancer builds up more and more of these mutated cells, it can grow one of two ways: out into the colon in the form of a polyp or along the wall of the colon like a kind of cancerous carpet. Both of these types of growth can be detected and eliminated during a colonoscopy, but polyps are easier to see and remove. When caught at this early stage, removing the growth is generally the end of the story. If that doesn’t happen, these small cancers continue to grow. Eventually they start to grow down rather than just into or across the colon. As they penetrate deeper and deeper, they eventually start to hit other organs and blood vessels that can send cancer cells to other parts of the body. In these later stages, colon cancer becomes much more difficult to treat. If caught too late, colon cancer can go from a treatable and survivable form of cancer to a deadly killer. How do I lower my risk of colon cancer? Fortunately, colon cancer isn’t just a roll of the dice. While some families have rare genetic mutations that make colon cancer much more likely, the vast majority of people can do a lot to lower their risk of getting colon cancer just by changing their lifestyle. Here are a few changes you can make. Eat right. Research has shown that diet is key when it comes to colon cancer risk. A recent study found that those who eat a diet of mainly vegetables and fish have a whopping 43% lower risk of colon cancer than the general population. Whole grains and fruits have also been found to lower your risk. As a rule, try to stay away from red meat, which has been found to increase colon cancer risk. Exercise. Several studies have found that those who exercise more often have lower rates of cancer in general, including colon cancer. You should shoot for 20 to 30 minutes of moderate exercise daily. Quit smoking. Smoking is a major risk factor for colon cancer in addition to a wide variety of other cancers. If you smoke, you should at least start thinking about the steps you need to take to quit. If you’re ready to take the plunge, make an appointment with your doctor to get started. Know your history. Knowing your family’s history of cancer is key in making sure you’re taking the right measures to keep yourself cancer free. With colon cancer, it’s important to know which of your family members had what type of cancer and at what age they were diagnosed. The final step in preventing cancer is screening. Colonoscopy is used to look through the colon, find any concerning growths, and remove them before they turn into cancer. For most people, this screening should start when you turn 50 and happen every 10 years if everything looks okay. But if you have a family history of cancer, you may have to get screened earlier and more often. 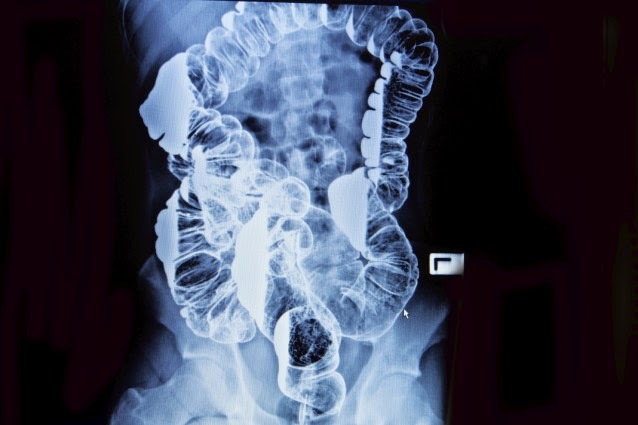 While getting a colonoscopy can seem like an uncomfortable hassle, the screening can be lifesaving, and it often is. If you’re over 50 and you haven’t had one, it’s time to see your doctor and schedule an appointment. Colon cancer has become a manageable and largely preventable cancer if you change your lifestyle and get screened as directed. The best part is the lifestyle changes that are good for your colon are good for the rest of your body as well.